Difficulty: Easy during summer with long days. After enjoying a nice lunch at the Willis Creek trailhead, we headed towards Lick Wash. The weather was really warming up by the time we finished lunch and much of the previously accumulated snow has began to melt. 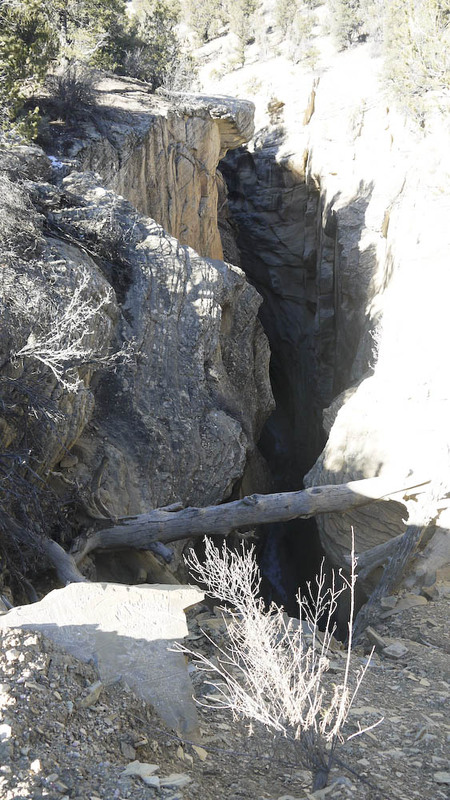 It took another 14 miles of driving off-road to get from the Willis Creek trailhead to Lick Wash. The road condition was excellent that day thanks to the great weather, we were able to get to both of the trails in our 2WD Honda Accord. 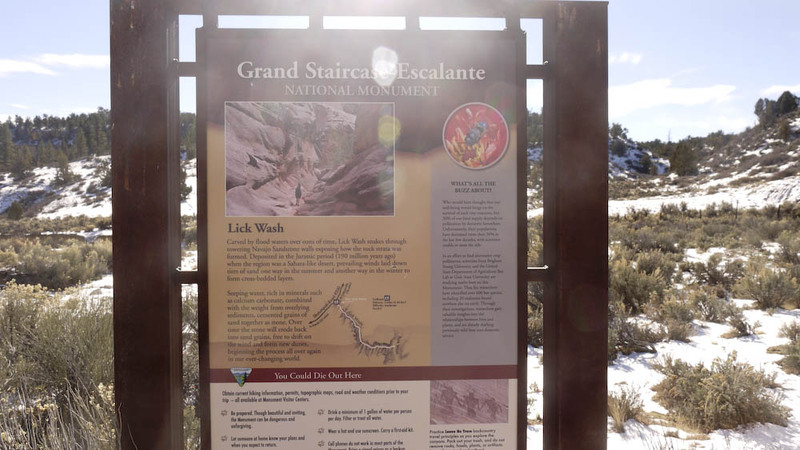 The Lick Wash Trailhead sign can be easily missed. Make sure you reset your odometer from the Skutumpah Road, the trailhead is about 20 miles in. Turn left after the Lickwash Trailhead sign and parking is 0.1 miles after the turn. 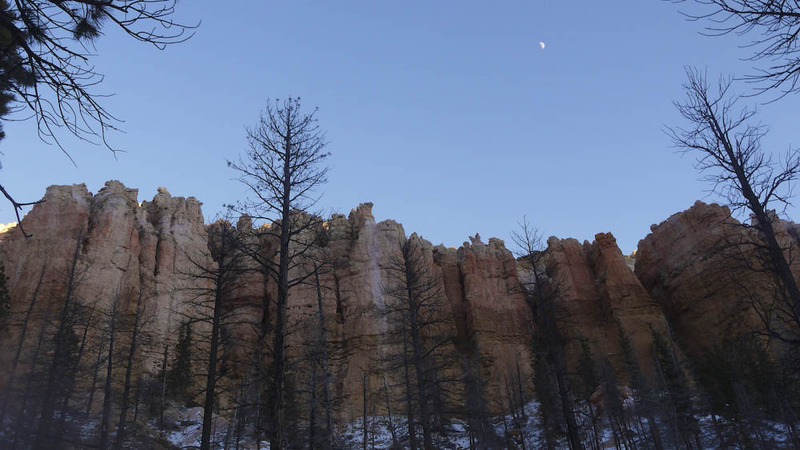 By the time we got back to Bryce Canyon National Park at the end of the day, we realized we still had a good hour of day light left. We decided to hike a part of the Swamp Gulch trail towards the northern end of the national park. The trail was suppose to be 4 mile round trip but we couldn’t seem to find the 2 mile marker before losing day night. Dusk photo of the Swamp Gulch before heading back to Ruby’s Inn. 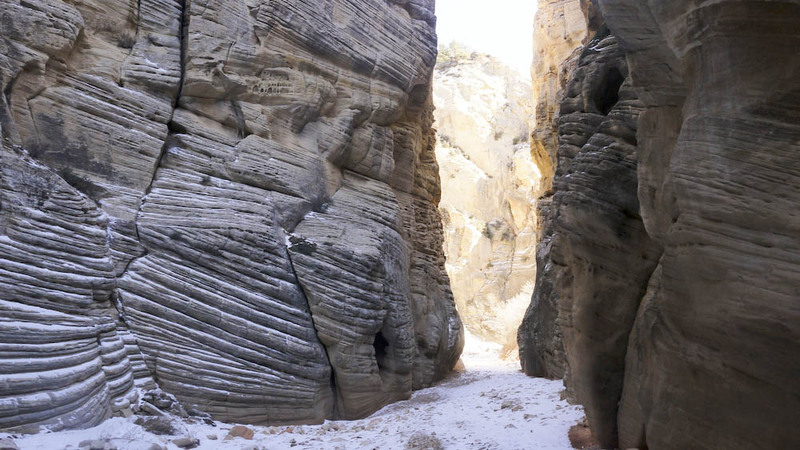 This entry was posted in Hiking & Backpacking, Trail Reports, Travels and tagged grand escalante staircase national monment, hike, Travel, utah by hikenoworklater. Bookmark the permalink.